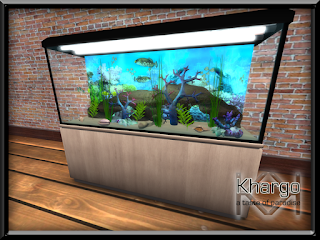 How long have you been searching for a great aquarium? 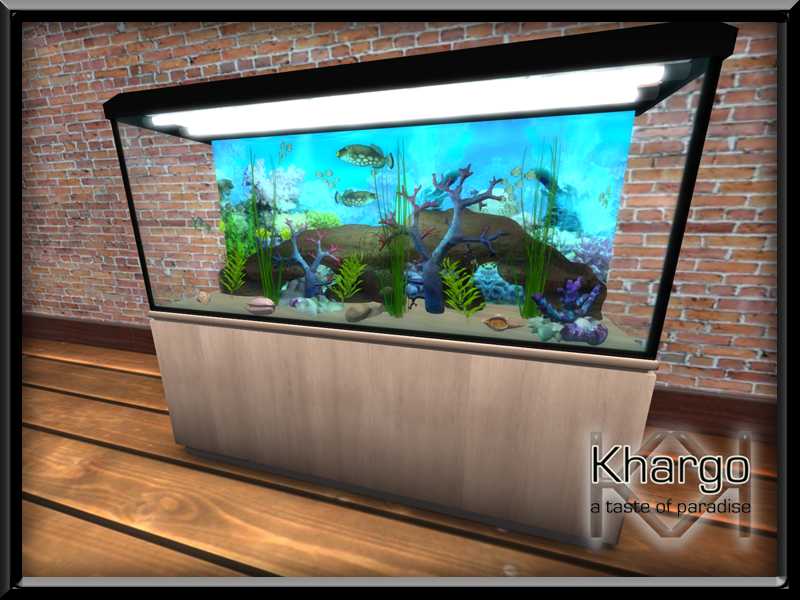 These aquariums are without a doubt the best you've ever seen in SL. We made 2 versions to suit everyone. 1 rectangular version with a nice background to go against a wall, and 1 without so you can use it in the middle of a room and admire it from all sides. Khargo Aquariums are normally priced at L$199 but are available for L$60 this weekend only! 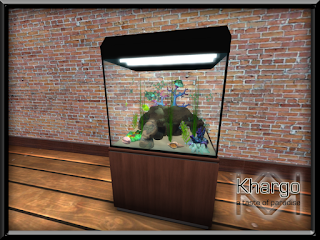 khargo aquarium 1 and 2. - 3 different texture versions of which 1 is easily to tint in the texture window so you can give it exactly the color you want to fit your style.